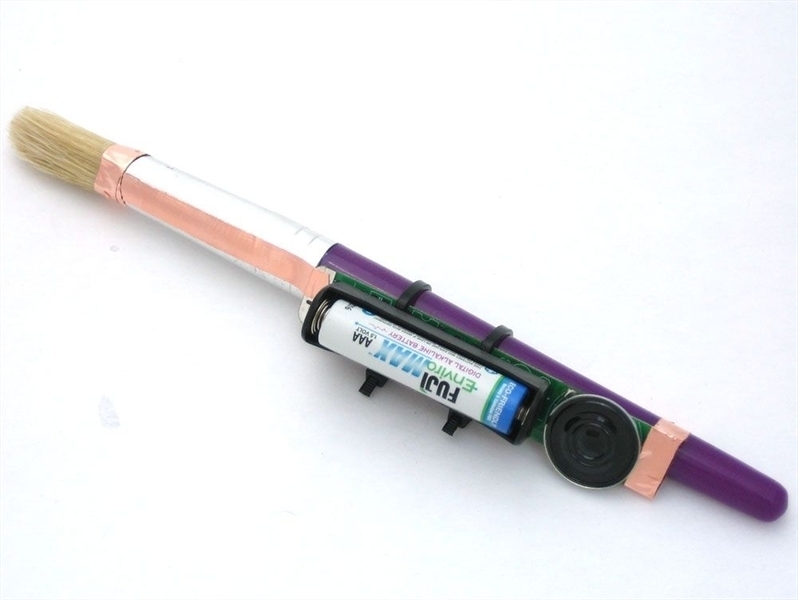 Drawdio is an electronic pencil that lets you make music while you draw! 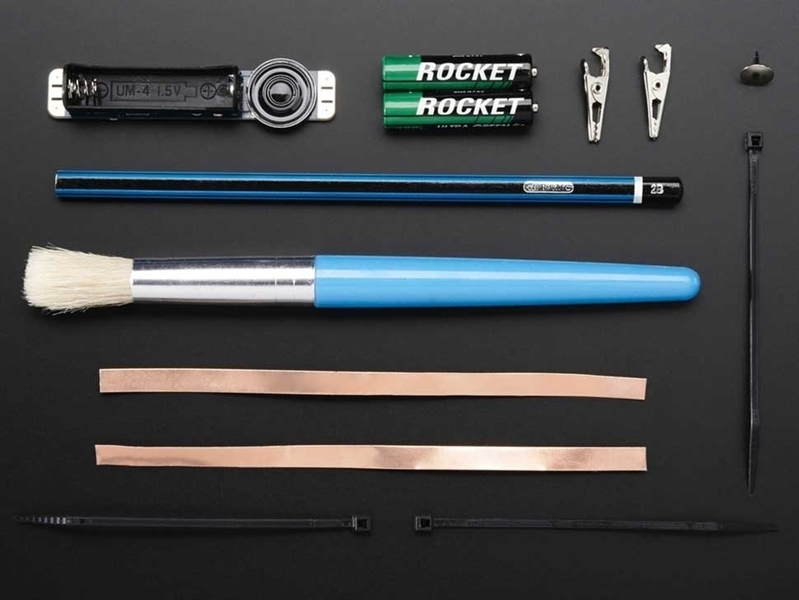 This fun pack has all the fun without the soldering. Essentially, its a very simple musical synthesizer that uses the conductive properties of pencil graphite to create different sounds. The result is a fun toy that lets you draw musical instruments on any piece of paper. This is the assembled version, for kits visit our kit page. Use pencils, brushes, people, fabric, anything you want to make noise. 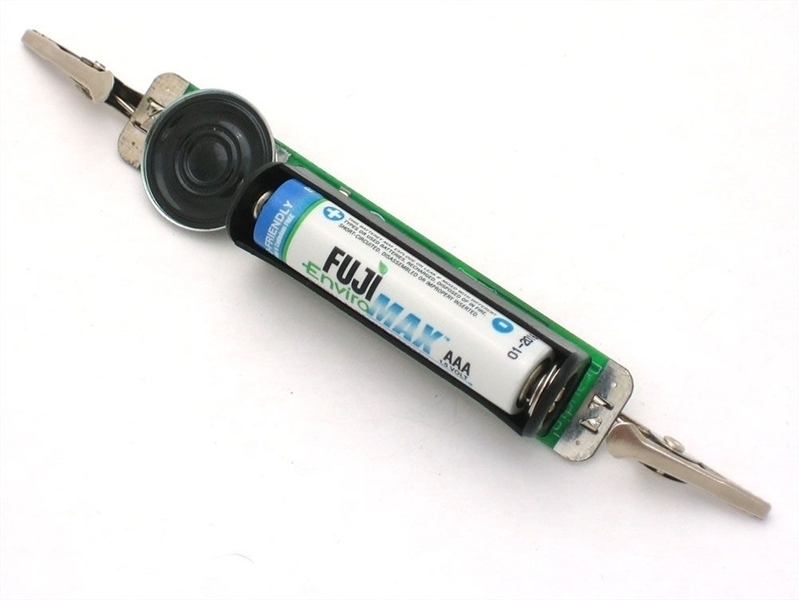 Assembled & tested Drawdio - no soldering required! There's lots more information at the Drawdio kit website Including a bunch of inspirational videos here. The Drawdio kit was designed in collaboration with Jay Silver based on his original design.